UNITED NATIONS, Jun 9 2016 (IPS) - The exclusion of key regions, contexts and actors must be addressed in order to successfully and significantly reduce HIV and AIDS by 2020, many have noted during the High Level Meeting on Ending AIDS this week. The meeting, which brings together UN member states and civil society, aims to discuss challenges and solutions for effective HIV reduction and prevention efforts around the world. The Joint UN Programme on HIV/AIDS (UNAIDS), the main organiser of the meeting, has says that there have already been immense gains in the field. In just the last two years, the number of people living with HIV who are recieving antiretroviral therapy (ART) has increased to 17 million people—2 million more than the 2011 Political Declaration in HIV and AIDS target of 15 million by 2015. Since 2000, this rise in access has reduced HIV/AIDS-related deaths by 43 percent around the world. To continue the momentum, UNAIDS has adopted a new Political Declaration with an ambitious fast-track approach which aims to reduce HIV and AIDS by 2020 through a 90-90-90 treatment target where 90 percent of people living with HIV know their status, 90 percent who know their HIV status are accessing treatment and 90 percent of people on treatment have suppressed viral loads. 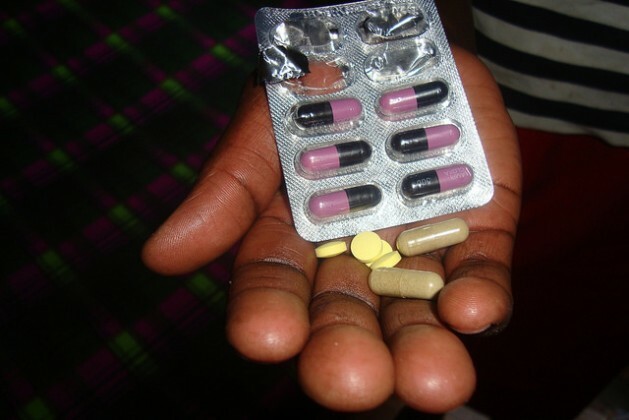 Reaching the treatment target will prevent 75 percent of new infections by 2020 and will pave the way for the world to end the AIDS epidemic by 2030 altogether. HIV/AIDS policies and resources have largely been focused on high-burden countries such as those in Sub-Saharan Africa. Though this has contributed to successes in coverage, it has also led to the neglect of key regions including West and Central Africa. “While the number of the people on life-saving HIV treatment worldwide doubled over the last five years…those living in West and Central Africa are missing out and in desperate need of treatment,” said Médecins Sans Frontières’ (MSF) HIV medical advisor Cecilia Ferreyra at the launch of a report. According to MSF, West and Central Africa (WCA) accounts for 21 percent of new HIV infections, 27 percent of AIDS-related deaths, and nearly half of all children infected by the virus globally. The humanitarian organisation also found that 76 percent of people who need HIV treatment in WCA do not have access to it. This accounts for almost 5 million out of the 15 million people which the UNAIDS’ 90-90-90 treatment target aims to reach by 2020. When asked whether WCA is neglected, Tita Gwenjeng, from the Network of African People Living with HIV/AIDS (NAP+) in the Central Africa region, told IPS that it is true. “It is said that the epicenter of every epidemic is southern Africa, so there is more attention to southern Africa to the detriment of other parts of Africa,” he said. In 2009, the President’s Emergency Plan for AIDS Relief (PEPFAR), which USAID helps implement, provided 90 percent of its bilateral funding to 15 focus countries, most of which are in sub-Saharan Africa. This narrow focus has led to low treatment coverage in WCA which may contribute to sustained, if not increased, HIV rates in the region and within its key populations. “If serious about meeting the 90-90-90 goal, UN member states must provide support to close deadly treatment gaps…and implement ‘catch-up’ plans to help low-coverage areas significantly improve the numbers of people receiving treatment,” MSF stated. MSF also expressed concern for the lack of HIV/AIDS services in humanitarian and emergency contexts. In 2013, the UN Refugee Agency found that one out of every 22 people living with HIV was affected by a humanitarian emergency and over 1 million living with HIV were unable to access treatment in such contexts. In WCA, humanitarian emergencies are increasing as a result of conflicts. The ongoing conflict between Boko Haram and the Nigerian government has left millions without food and health services. Approximately 75 percent of affected people do not have access to health care within the country. Spillover violence is also on the rise, affecting civilians in the entire region. According to the Internal Displacement Monitoring Centre (IDMC), the conflict has displaced over 2 million Nigerians. Almost 200,000 refugees have fled to neighbouring countries of Niger, Cameroon and Chad. Displaced persons are often at higher risk of HIV/AIDS. Women and girls in such contexts especially bear the brunt of the epidemic due to sexual violence. According to a study, at least one in five refugees or displaced women in complex humanitarian settings experience sexual violence. This may be an underestimate, the study added. Though insecurity impedes HIV care, MSF noted that such services are “wrongly perceived” as complex by aid agencies and are not prioritized in the first delivery of medical supplies. “We need to think about these refugees,” said Elvis Achiri Ndikum, Founder and President of the Association for the Promotion of Youth Leadership, Advocacy and Volunteerism (APYLAV) in Cameroon after noting the lack of HIV prevention in refugee camps. “We can’t fight insecurity without thinking about health,” he told IPS. Civil society is often at the forefront in HIV/AIDS response in not only emergency crises, but also during long-term contexts as they are able to access hard-to-reach populations and have intimate knowledge of the cultures and populations they work with. In May, 22 civil society organisations (CSOs) were banned from attending the High Level Meeting on Ending AIDS. Eleven of these CSOs were lesbian, gay, bisexual and transgender (LGBT) groups. The action was requested by the Organisation for Islamic Cooperation, a bloc of 57 member states which include WCA countries such as Nigeria, Cameroon and Ivory Coast, which have some of the highest HIV rates in the region. Among the CSOs that were blocked was a NAP+ and Cameroonian youth-led organisation Affirmative Action. When asked why such seemingly important actors are being excluded, Gwenjeng told IPS: “That’s a question I’m asking myself too, it’s a big surprise.” He highlighted the need to include CSOs by providing resources that will help them build on the successes in HIV response. Ndikum noted that this exclusion at the UN promotes discrimination and stigma at home. “Fighting HIV and AIDS is not about the political declaration. It’s about how we are going to live in our communities…if they exclude us here, it means they are going to exclude us there,” he told IPS. Ndikum added that the WCA region and its key populations must be included in decision-making processes in order to eradicate discrimination and help in the fight against HIV/AIDS. “The UN is about rights and equality for all, and everyone has the right to have good health and to live,” he stated. The newly adopted Political Declaration has already received mixed reviews on whether it will deliver and achieve its goal.